The Education Committee of TTS will be organizing six new webinars on the "trends and Challenges in Liver Transplantation". The series, organized by Sukru Emre, will host the first webinar on January 19. See details below. Dr. AnnMarie Liapakis is an Assistant Professor of Medicine and Surgery and practicing gastroenterologist with the Division of Digestive Disease, Department of Internal Medicine at Yale University and provides transplant hepatology care within the Yale New Haven Transplantation Center. She is a leader in the living donor liver transplant program and has created a subspecialty clinic for care of patients with combined kidney and liver disease within the transplantation center. She additionally has sub-specialty interest in viral hepatitis C and direct acting antiviral therapy in the context of transplantation. 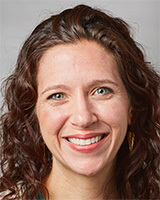 She currently serves as co-chairperson for Donate Life Connecticut and is the vice chairperson of education of the medical advisory committee of the CT chapter of the American Liver Foundation. Dr. Miles is an associate professor of Internal Medicine at the University of Nebraska Medical Center, in Omaha, Nebraska. He joined the faculty there as a transplant nephrologist in 2007, and is now the Medical Director of kidney & pancreas transplantation for UNMC’s partner hospital Nebraska Medicine. Dr. Miles received his medical degree from the University of Nebraska, and then completed his residency in internal medicine at Dartmouth Hitchcock Medical Center in Lebanon, N.H. His training finished with fellowships in nephrology and transplant nephrology at the University of Michigan Medical Center, Ann Arbor. In June 2007, Dr. Miles also received a Master's of Science degree in clinical research and design and statistical analysis from the University of Michigan Medical Center's School of Public Health. Dr. Miles has served UNOS as a past regional representative to the Kidney Transplant Committee and current At-Large member of the Membership and Professional Standards Committee. He is also the Chair of the Heartland Kidney Network’s Medical Review Board. Dr. David N. Assis is a hepatologist and assistant professor of medicine at Yale University School of Medicine. His training in liver diseases, including research fellowship and transplant hepatology, took place at Yale. He now focuses on autoimmune liver diseases in his clinical practice and also performs NIH-funded translational research to better understand the mechanisms of Autoimmune Hepatitis, Primary Biliary Cholangitis and Primary Sclerosing Cholangitis, and to develop new immune-based therapies for treatment of these disorders. Julie K. Heimbach, M.D., is a Professor of Surgery and the Chair of the Division of Transplantation Surgery at Mayo Clinic in Rochester, Minnesota. She is currently a member of the Governing Board of the American Association for the Study of Liver Disease; chair of the Communications Committee of the American Society of Transplant Surgeons; and chair of the Liver and Intestinal Transplant Committee of the OPTN/UNOS, the national organization charged with oversight of organ transplantation in the United States. She also serves as associate editor of the American Journal of Transplantation. Dr. Heimbach’s research focuses on living donor transplantation, obesity and transplantation, and liver transplantation for hilar cholangiocarcinoma. Dr. Simon Horslen would like to make the case that the most difficult and yet the most important problem we face in Pediatric Liver transplantation is long term allograft health. While short term outcomes have improved dramatically, the long-term rate of graft fibrosis and graft loss has really not changed, and because of the age of pediatric patients at the time of transplant most of the morbidity falls on the adolescents and young adults. 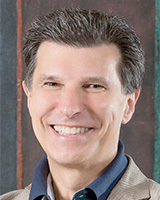 Carlos O. Esquivel is Professor of Surgery at Stanford University School of Medicine, Chief of the Division of Abdominal Transplantation and the Associate Director of the Institute of Immunity, Transplantation and Infection, an umbrella institute that fosters interdisciplinary research between basic scientists and clinicians. Dr. Esquivel is the first recipient of the Arnold and Barbara Silverman Professorship in Transplantation. He received his M.D. degree from the University of Costa Rica School of Medicine, completed general surgery training at the University of California Davis and then obtained a doctoral degree from the University of Lund in Sweden. He trained in transplantation of the liver, kidney, pancreas and intestine at the University of Pittsburgh under the direction of Dr. Thomas Starzl. In 1995, he was recruited to Stanford to start the Pediatric Transplant Programs at LPCH and rebuild the Adult Liver and Kidney Transplant Program. Dr. Esquivel is recognized worldwide as an expert and pioneer in transplantation. He is a creative and productive investigator having contributed 338 publications in the medical literature and given over 200 lectures throughout the United States and internationally. He oversees multiple basic science and clinical research projects and is currently PI for a 5-year, multi-center NIH grant to develop biomarkers for Epstein-Barr Virus-induced post-transplant lymphomas in children. As a transplant leader at Stanford and in key national and international societies, he promotes team cooperation, embraces change and creates an environment for fostering discovery, and for training leaders of the future. In recognition of his many contributions to surgical education, Dr. Esquivel received the American Society of Transplant Surgeons 2015 Francis Moore Excellence in Mentorship in the Field of Transplantation Award. He has worked in the US for the last 20 years initially at the University Of Nebraska Medical Center and currently in Seattle. He is a Pediatric Hepatologist and Transplant Physician with many years’ experience of liver and intestinal transplantation in children. 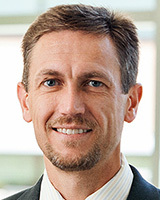 Dr Horslen participates in several multicenter research studies including SPLIT (Studies in Pediatric Liver Transplantation), PALF (Pediatric Acute Liver Failure) and ChiLDREN (Children’s Liver Disease Research Network). Dr Horslen is a past-Chair of the UNOS/OPTN Pediatric Committee and of the Pediatric Community of Practice of the American Society of Transplantation (AST). He is current Chair of SPLIT (Studies of Pediatric Liver Transplantation) and President Elect of IRTA (Intestinal Rehabilitation and Transplantation Association). Description: Antibody mediated rejection (AMR) has become one of the hot topics in liver transplantation recently. In this webinar, world known experts in this topic will discuss the immunological, clinical aspects of AMR as well as available treatment options.